The vinyl pick up material is 78 inches wide and I think I would consider that before using seams. Its flat with no grain texture. BTW: Haartz does offer a wide material, vinyl on one side and acrylic cloth on the other side. 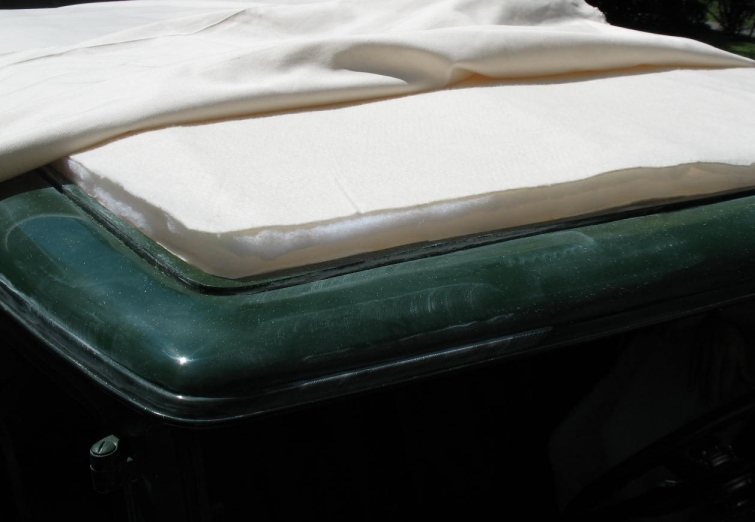 Check with Santa Barbara Upholstery supplies. Seams scare me, possible source for leaking. Also i used polyurethane 3M4200 used in the Marine industry. Semi pliable. This may not look pretty, but was in my budget and water tight. I had this same issue with my 27. You'll notice that chris has a top "insert" in his 169B rather than a top that comes around the edges and is held in place by the rain gutters like your sedan. I was not able to find any source for material that was wide enough. Some of the big material companies used to offer it, like HAARTZ or Bill Hirsch, but it was discontinued. I ended up having to put a seam down the middle - though i think a wide center panel and a seam down each side would be more aesthetically pleasing. Thanks for the photos of your top covering job. Very neatly done. 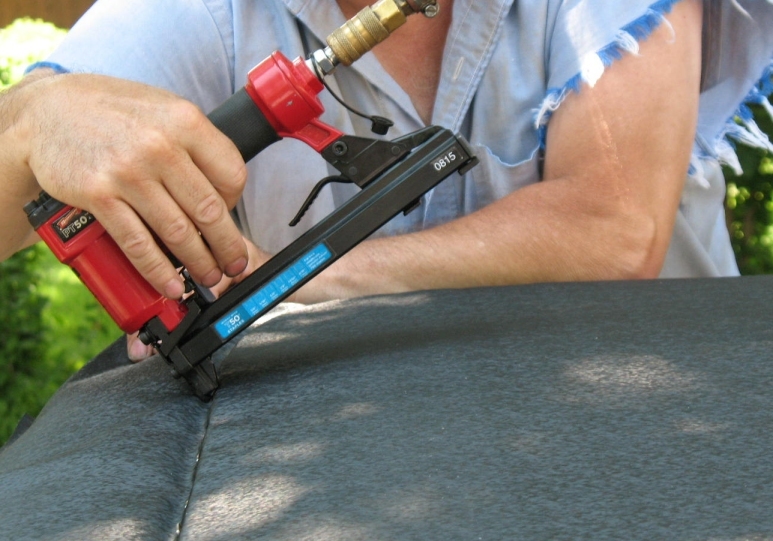 What material did you use for the edge trim? I used short grain material from Restoration Specialties, Windber, PA. The short grain is 54 inches wide and was just wide enough for my decking. They also offer long grain material which is 60 inches wide. The long grain is more appropriate for a teens era car. I have not seen a suitable vinyl in 68 inches wide. 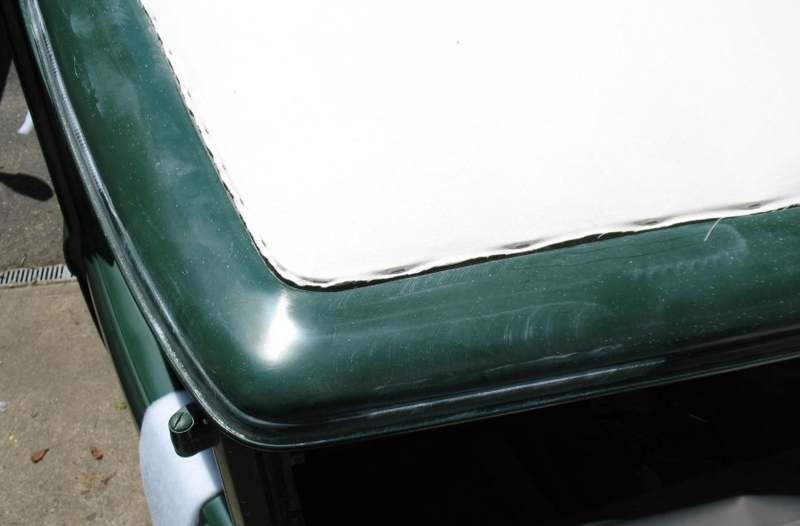 I have seen and used a pick up truck tonneau cover which is 78 inches wide. The texture for that does not have a grain like appearance. That is available from several sources. Google "pick up tonneau cover". A supplier I have ordered from is American Trim in Oklahoma (www.atrim.com). Perhaps contacting LeBaron Bonney in Mass and ask them. Are you sure 68 inches is correct? That is quite wide. A more important question is what trim will be used to cover the edge? 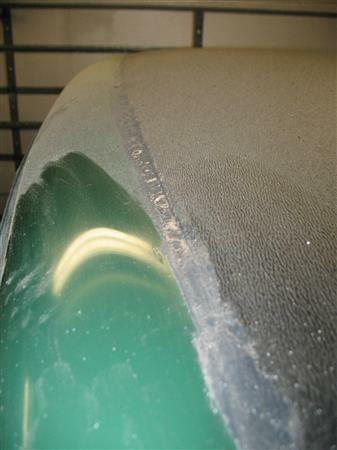 I have to renew the roof of my 1928 Lincoln Sedan and look for a suitable material (vinyl?) at least 68 inches wide. Do you have any advice?